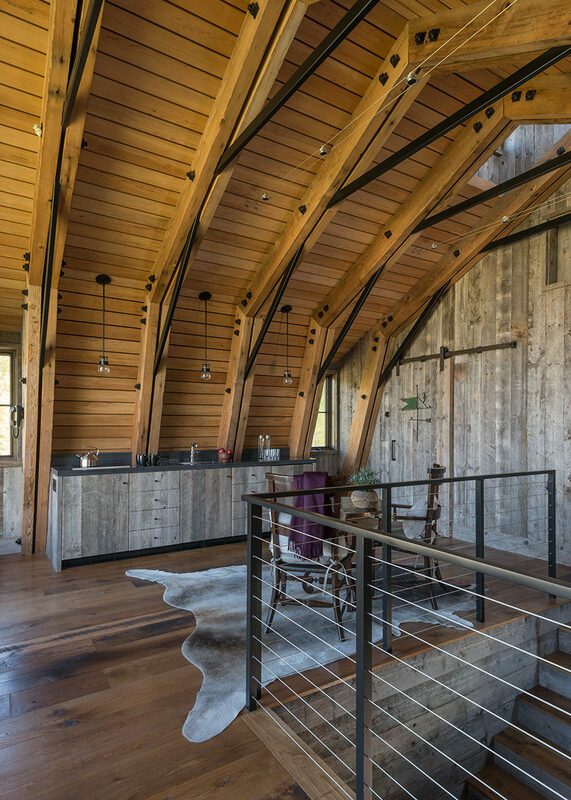 Whatever the attraction, the architectural barn style was the look that the homeowners were after when they decided to add a guesthouse to their 15-acre property on Tucker Ranch. 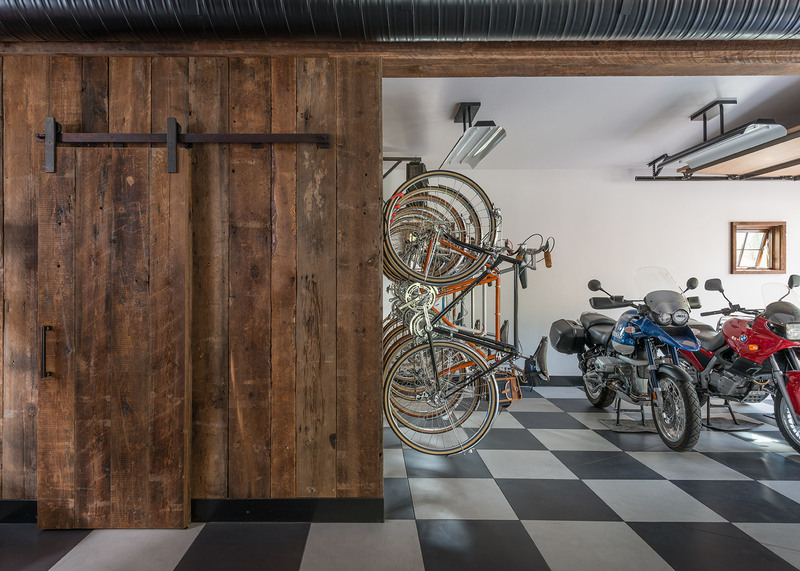 The couple’s architect and friend, John Carney of Carney Logan Burke Architects in Jackson, equivocated – for a minute. “I remember they handed me photos of the real barns. I suggested maybe we didn’t want to settle on a form so quickly, but in this case it really was them saying ‘No, this is what we want'”. 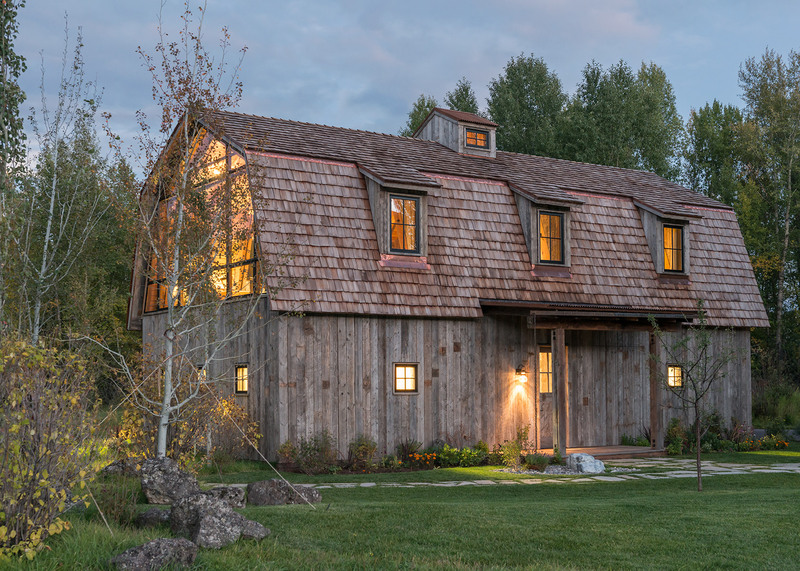 But because the barn shape “is very classic and traditional”, Carney says, “we knew we wanted to add an element of surprise in the design. 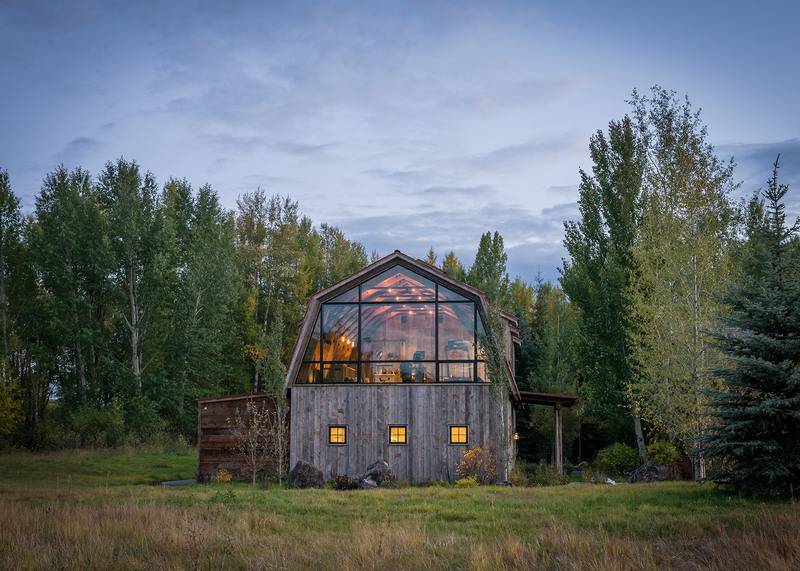 That surprise took the form of a huge second-story gridded glass wall, which looks due north to the Tetons and the Jackson Hole Mountain Resort and has two lower hopper windows that open up to provide fresh air. 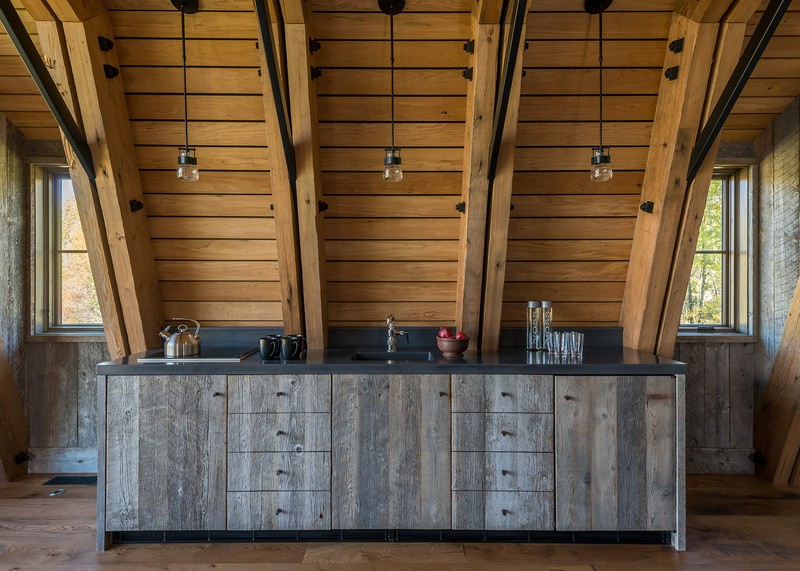 “The whole thing is proportioned to look like a loft hay-loading space, as if it were big double doors you brought hay into,” says Carney. 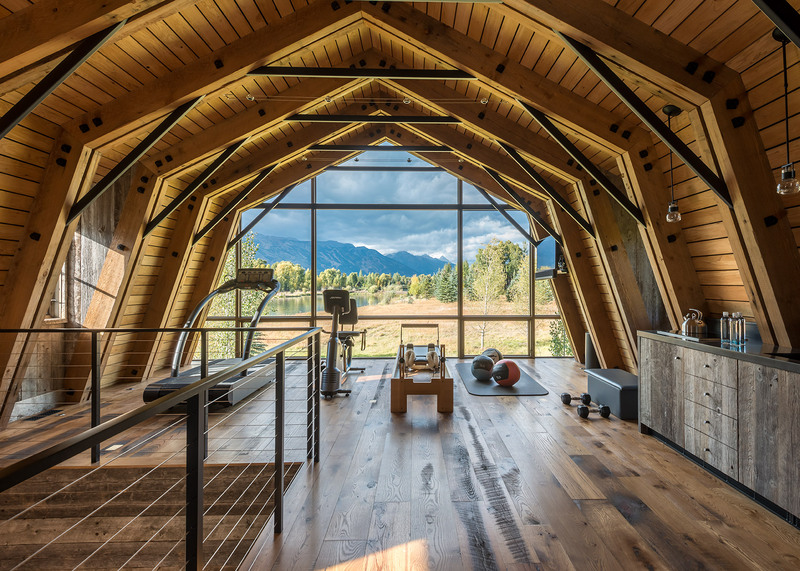 The 2400-square-foot new-build, finished this past summer, actually serves three purposes: besides needing a guest house for the family’s many visitors, the homeowners wanted a dedicated workout area for her (“I exercise outside whenever I can, but needed something with views to use in bad weather” she says.) 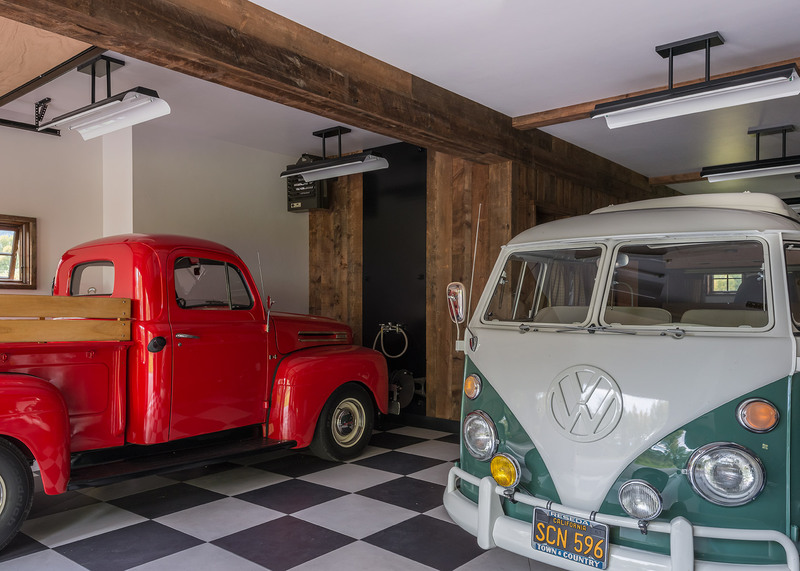 and, for him, an expansive first-floor garage with a ceramic checkerboard tile floor. 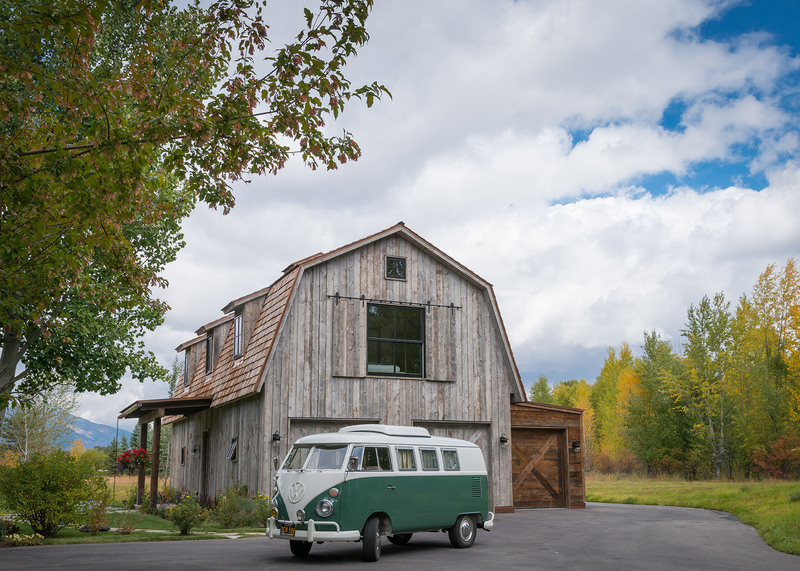 The building pays homage to 19th-century working barns: the exterior and interior walls, in fact, are built of old barnwood (from Montana Reclaimed Lumber), two-foot-square punched windows on the first floor mimic traditional barn windows, and the interior has a pitched ceiling supported by knee braces interspersed between trusses, a design that is both striking to look at and necessary to support the cedar shake roof during Wyoming’s heavy winter snows.